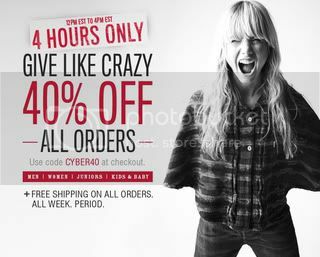 Levi's Cyber Monday Sale Online is 40% off entire order plus Free Shipping with No minimum purchase required. Use Code "CYBER40" at Checkout. Offer valid 12-4pm Eastern Time or 9-1pm Pacific Time only. More deals on Levis Jeans, please comment below. Through June 21st, Levis.com now you can save an additional 25% off sale styles when you enter promo code 25EXTRA at checkout. Through today, October 10th only, until 11:59 PM PT, Levi.com is offering an extra 30% off sitewide when you use promo code SAVE30 at checkout! Even better today only, they are also offer free shipping on all orders! Through October 24th, Levi.com is hosting a huge Warehouse Event and offering up to 75% on closeout styles. Even better, you can sign up to receive emails and they’ll send you a unique code for 20% off your order and FREE shipping! Through January 9th, on Levi.com now they are offering up an extra 40% off Final Winter Clearance Items after you use promo code SALE40 at checkout! Note that this discount applies only to items ending in $0.97, $0.98 and $0.90 and select sizes and styles will sell out fast.